Dedicated December 11, 2002, at the Western Regional Research Center in Albany, California. Frozen foods have become a staple of the modern diet. Freezing allows consumers to have access to foods previously unavailable or available only seasonally, and it provides convenience for many families. But frozen foods became commonplace only after World War II, in part due to research conducted at the Western Regional Research Center which helped determine the proper time and temperature at which various foods should be frozen to insure their quality and stability. The preservation of harvested and prepared food for future consumption is one of the oldest practical arts, a necessity that developed from the sheer need to survive in a hostile environment where fresh food was not always available. Techniques for drying foods date back to ancient times, when fruits and vegetables were dried in the sun or on an open stove. Without water present, the dehydrated foodstuffs would not support microorganisms and therefore did not spoil. By 1000 BC, the Chinese were using salt, spices and smoking to create a sterile environment for different food products. Salt also acts as a dehydrating agent and is particularly useful for fish and meat. Salted meat served explorers and military forces well because of its stability and portability, and it was a technique that lasted into the twentieth century. It was also discovered very early that making cheese could preserve dairy products, grape juice could be fermented into wine that would last for years at normal temperatures, and even cabbage could be preserved by converting it to fermented sauerkraut. North American Indians made pemmican by drying the meat of buffalo or deer and then mixing it with a large amount of fat. This was effective because the fat presumably excluded oxygen. Food preservation changed significantly, however, in the early 1800s, when the Frenchman Nicolas Appert made “the seasons stand still” by inventing a technique to preserve foods in glass jars. Appert opened a factory at Massy but also described his process for anyone to follow. Appert had discovered that unwanted bacteria were destroyed by placing the jars in boiling water for a specific time period depending on the food and then sealing the jar under these sterile conditions. Although Appert preferred glass because he thought it was the best for keeping out oxygen, others soon followed with metal containers, and the modern canning industry was born. The Incas stored their potatoes and other foods at the high altitudes where they lived in the Andes Mountains. The food froze at these cold temperatures, and because of the reduced atmospheric pressure, the water dissipated more quickly than it would have at sea level. Early in the twentieth century this process was more carefully developed when frozen foods were placed in a vacuum, allowing the frozen water crystals to sublime directly from the solid to vapor form, where they could be easily removed. Freeze-dried foods can be stored for a long time and are easily reconstituted if desired. This process was slow to find any commercial application until the 1930s, when freeze-dried coffee was first manufactured in Switzerland. During World War II some troops were supplied with freeze-dried orange juice, and freeze-dried blood plasma was carried by medics into the front battle lines. Several hundred food products have been commercially freeze-dried since 1960. If food is simply frozen without removing the solid water crystals, then storage, quality and lifetime become an entirely different set of problems. Early polar explorers frequently found their food supplies in a frozen state, and they encountered many problems in being able to ingest and digest these foods, which often had reduced nutritional value. Yet the Eskimos had survived for centuries in a hostile environment, living off fresh food from the ocean or the land and preserving this food by drying or freezing and storing it for times of need. An astute naturalist employed by the United States government was the first to take particular notice of how the Eskimos prepared their frozen fish. On duty in the Arctic, Clarence Birdseye watched in fascination as the Arctic ice and the bitter Arctic wind froze the fresh fish almost instantly. More importantly, Birdseye found that when these frozen fish were later thawed, cooked, and eaten, their taste was remarkably similar to the original fresh food. Recognizing that this “flash” or practically instantaneous freezing had commercial potential, Birdseye left his government job and formed Birdseye Seafoods, Inc. in 1924. In 1930 he was awarded a United States patent for a “Method of Preparing Food Products” (#1,773,079), a system that packed fish, meat and vegetables in waxed cartons that were then flash-frozen. During World War II Birdseye and a number of other companies continued to produce frozen foods, largely because food rationing and a shortage of canned goods tempted consumers to try whatever was available. By the end of the war there were 45 companies in the field, and as price controls were gradually removed by the Office of Price Administration (OPA) beginning in May 1946, the number of frozen food producers almost doubled. The variety of products was truly amazing. In addition to the standard fare there were also more exotic entrees such as borscht, lobster Newburg and pigs’ knuckles. As a result, between 1946 and 1947, the production of frozen foods dropped 87 percent in a single year! 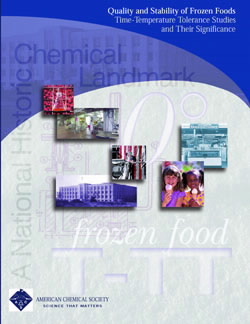 “Quality and Stability of Frozen Foods” commemorative booklet produced by the National Historic Chemical Landmarks program of the American Chemical Society in 2002 (PDF). The manner in which liquid water turns to solid ice has been the subject of scientific research for more than a century. Even after ice crystals have been formed as the food is frozen, they may change on long-term storage. In addition, a variety of chemical reactions may also occur in frozen foods during storage. Thus the manner in which frozen food is stored and the way in which it is thawed can have a major impact on the quality of the final consumer product. As in all food preservation techniques, freezing inhibits microbe activity, reducing bacteria and molds and their undesirable side effects. However, it does not kill all bacteria, and the industry quickly recognized that “freezing does not sterilize foods.”1 Clearly, the commercial freezing of food products is not a simple process. The ignorance of the basic chemistry of the underlying processes on the part of many producers in the post war boom led to poor quality which was in part responsible for the refusal of the consumer to buy their products. As the Great Depression wore on into the 1930s the economic plight of the American farmer deteriorated because of a surplus of products such as wheat, cotton, milk and potatoes. The Farm Chemurgic Council, begun in 1935 by a group of scientists and industrialists and supported by Henry Ford and IrÉnÉe Du Pont, was convinced that “through research, practically unlimited opportunities existed for the creation of new products from farm commodities.”3 When Congress passed the Agricultural Adjustment Act of 1938 “as a new charter of freedom for farmers,” one of its provisions was the establishment of regional research laboratories that would look for new uses of specific crops in different regions of the country. The United States Department of Agriculture (USDA) was directed to determine what research in what areas had the most potential to benefit the American farmer. Within a year, a massive report was prepared, reviewing 10,000 research topics and covering 1,300 institutions involved with chemurgic research. The USDA settled on four locations: Philadelphia, Pennsylvania; Peoria, Illinois; New Orleans, Louisiana; and San Francisco, California. Acting quickly, Congress appropriated $4 million for the four almost identical research buildings at the four sites, and by the end of 1940 the buildings were completed, equipped and staffed. The first research centers for farm commodities had begun operation less than three years after their concept had been proposed. According to the 1940 Yearbook of Agriculture, their mission was straightforward enough. “The market for farm products is to be held—and expanded wherever possible—by aggressive use of … science and technology…. The desired result may not be attainable, but the game is not to be lost by default, at any rate.” As the regional center for the western United States, the Western Regional Research Laboratory [now the Western Regional Research Center (WRRC)] was to focus on fruits and vegetables, wheat, potatoes and alfalfa. It was built in Albany, California, adjacent to Berkeley; part of its land was a donation from the University of California. The planners of the original research centers expected that the initial list of commodities assigned to each center would expand and change with time, and they were not disappointed. After the 1947 debacle in the frozen food industry, it became obvious to the industry that some of the problems—such as poor color and flavor, inedible pre-cooked dinners and even mold growth—could benefit from a more careful scientific analysis. For some time, research in frozen foods had been conducted by a number of groups, including the USDA. The USDA had established a track record of research in frozen foods dating back to World War I with Mary Pennington’s work on refrigeration and the shipping of perishable commodities. Now the frozen food industry, led by Helmut C. Diehl, who was director of the Refrigeration Research Foundation, approached the USDA with recommendations that it undertake a thorough investigation of the entire matter. Diehl, who had conducted research on frozen foods in the 1920s and 1930s for the USDA, had spent time at the WRRC after it opened. He pledged the full financial support of the industry to this endeavor. Diehl was asking for a comprehensive scientific and technological study of all the practices of the frozen food industry, but there was also considerable interest in the “maintenance of the high quality of commercially packed frozen foods under the conditions of temperature and time that they would experience in nationwide distribution.” The project was assigned to Albany, and WRRC Director Michael J. Copley “seized the opportunity to show-case the Center’s ability to perform such a large and complex undertaking as an instrument of discovery and invention.” A large staff of chemists, food technologists and engineers was assembled, and specialized cold-storage rooms were designed and constructed. Capable of storage temperatures from —30 °F to +40 °F these rooms could carefully duplicate the fluctuating temperatures that were the key focus of the investigation, while novel refrigeration systems moved cold air over the test foods, year after year, through many different cycles. There was considerable staff discussion before agreement was reached on this title. The ideal scenario for the industry would be one in which the newly frozen food would forever be held in a constant low-temperature environment, generally considered to be 0 °F (or lower) at the time. Much of the problem, however, lay in what happened to the frozen foods between the time they left the plant and the time they were purchased by the consumer. For practical purposes, the question was to determine what variance in the ideal temperature a product could withstand without affecting its quality. That is, “what is the tolerance of a frozen food to adverse conditions, measured in terms of time and temperature combinations?”5 In typical scientific fashion, this title was shortened simply to the T-TT studies. As assistant WRRC director Wallace Van Arsdel explained, the major objective of the T-TT work was to study the changes in frozen foods as they proceeded through the distribution system, determine the deviations in the system that would still allow a satisfactory consumer product, and make recommendations for improving the distribution system itself. Once these results were available, the WRRC intended to improve the selection, processing and packaging of frozen foods so that they would better withstand adverse conditions in the distribution system. A second goal was to find suitable tests that could be applied to a frozen product anywhere in the distribution system to see what changes may have occurred and whether the products were still commercially acceptable when they reached the retail market. It was the beginning of a massive and arduous effort of many people over a long period of time as they attacked a complex problem using basic science and engineering. While it is relatively easy to measure “stability” in quantitative terms, the same is not true for “quality,” which is notoriously vague and elusive. Initially, sensory panels of people trained in utilizing sight, smell and taste were used to provide some measure of “quality.” But a new instrumentation technique was just becoming available to researchers in the early 1950s. As a method of analyzing even the trace amounts of individual chemical components in a mixture, gas chromatography (GC) quickly became the method of choice in studying aroma and flavor because it could detect which compounds were responsible for the sensory effects, and how much of each component was present. Now that the compounds responsible for off-flavor and rancidity could be measured, the WRRC staff developed many new uses for GC in flavor and food chemistry. They were particularly successful in sampling the space above a frozen food and injecting this directly into the GC, a technique now known as “static headspace sampling” that is still a standard in the food industry. For example, rancidity in meats derives from the breakdown of fats in an oxidation process that immediately leads through a series of complicated chemical reactions to aldehydes and hydroxy compounds that are responsible for the rancid flavor and odor. These reactions can also occur in frozen meat and fish when rancidity accelerators are present. One method of quality measurement is to use GC analysis to look for these known components of rancidity and determine their amounts. In the early 1960s, WRRC scientists were among the first to combine GC with another analytical technique, mass spectrometry. The sensitive and rapid combined gas chromatography-mass spectrometry procedure simplified the study of food flavor and aroma compounds and improved the objective determination of food quality. Among the key aroma components first identified at WRRC are those of orange, apple, rice, tortilla chips, carrots, cabbage, broccoli, popcorn, plums and pineapple. Even though these new techniques helped quantify “quality,” sensory panels were always an important part of the T-TT work. They were often used to verify the conclusions reached through chemical tests such as chlorophyll degradation or loss of ascorbic acid, especially in determining that point in storage where there was a “just notable difference” and correlating that to the appropriate chemical measurement. In the early stages of the T-TT research it became apparent that many of the changes accompanying food deterioration on prolonged storage, even at extremely low temperatures, were caused by the continued action of the food’s own enzymes. Even before the T-TT work began, it was known that better frozen food quality results from blanching, the process in which vegetables are briefly heated in hot water or steam. The intent is to deactivate the enzyme peroxidase, thought to be the culprit in causing the post-freezing degradation. T-TT studies led to a rapid, reliable and convenient assay for peroxidase, and subsequently established the appropriate blanching parameters for individual fruits and vegetables. As the range of foods tested in the T-TT work expanded, it became apparent that the elimination of peroxidase activity was neither necessary nor desirable during the blanching of some foods. In some cases, the index of blanching became the inactivation of catalase, a process that was gentler than that required for peroxidase inactivation. In other cases, yet another enzyme, lipoxygenase, was found to be the major promoter of reduced quality, and blanching times were considerably shorter for this enzyme. In other words, what was once thought to be a single and simple blanching process was now expanded to include detailed procedures for different foods, all of which contributed to a higher food quality for the consumer. Without blanching, the enzymes catalase and peroxidase will accelerate changes in texture, color and flavor even after the food has been frozen. There are several ways to follow changes in vegetables after processing, including measuring ascorbic acid or, in the case of cauliflower, the brown pigments soluble in a water-acetone mixture. Many T-TT studies, however, followed the fate of chlorophyll. 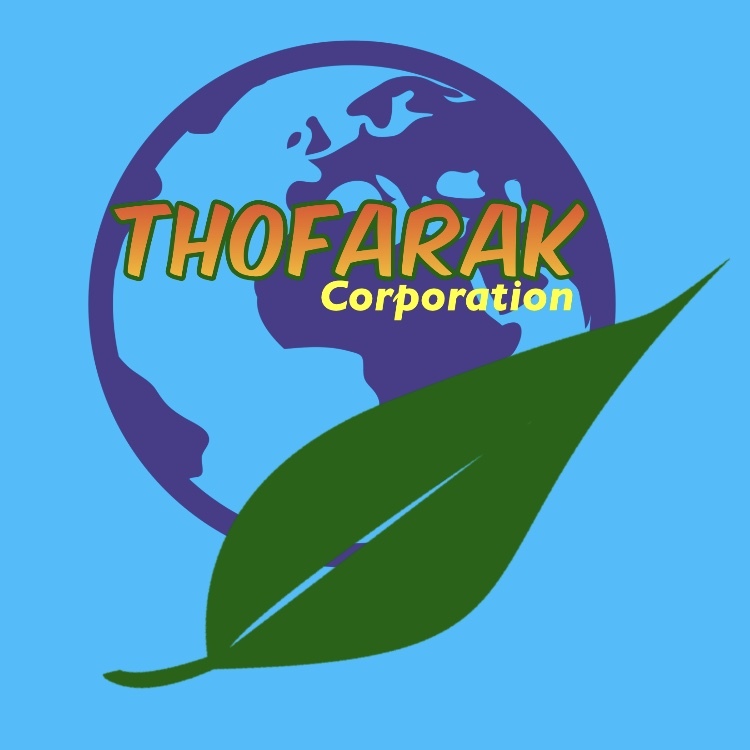 The chlorophyll content of a living plant is readily measured. The blanching procedure ends the respiration process, and the conversion of chlorophyll to pheophytin begins. At the same time, the color slowly changes from a bright green to a dull olive brown. With proper handling and processing, it can be assumed that at the beginning, when the food is freshly frozen, there is no pheophytin present, and any changes in the ratio of chlorophyll to pheophytin are taking place in the post-freezing chain of events from processor to consumer. This proved to be a sensitive technique for the WRRC to follow what was happening as time and temperature fluctuated. It was actually possible to construct empirical equations that would predict the chlorophyll conversion based on the temperature history of a frozen vegetable. The T-TT investigators found that “the first perceptible loss of initial quality of many frozen vegetables occurs in less than one year’s storage at 0 °F.” Further, “a few degrees difference in temperature for long-term storage can cause a great difference in quality retention. At the same time, short exposures above 0 °F are no more damaging than long exposures at lower temperatures.”5 These results testify to the complexity of the frozen-food stability problem. For example, on storage at 0 °F , the first noticeable flavor difference occurred first for peas (265 days), followed by spinach (271 days), green beans (285 days), and cauliflower (355 days). Generating practical working models for a large variety of frozen foods. Predicting the stability and quality of frozen food over time by using mathematical equations. Discovering that 0°F is the critical temperature to maintain stability in most frozen foods, a result that is still followed today in most household freezers. Recommending to the transportation industry the maximum time different food types could be warmed above 0 °F without significant deterioration. Identifying specific aroma compounds for a wide variety of foods. Establishing the stability periods for frozen foods, leading to a star marking system often used to help the consumer know how long a particular food can remain in cold storage before it begins to deteriorate. Inventing “dehydrofreezing,” wherein certain foods, such as potatoes, are partially dehydrated before freezing, resulting in financial savings because of reduced volume and weight. Improving the blanching process for the preparation of frozen vegetables, including the Individual Quick Blanching (IQB) and the Vibrating IQB cooler. Discovering that for some foods, notably orange juice and onions, the addition rather than the removal of an enzyme was important for quality and stability. Eliminating salmonella contamination in fresh and frozen liquid egg products. The T-TT work investigated a complex process, and produced complex results. As it progressed, the frozen food industry quickly accepted its results and adopted its recommendations. Any scientific investigation also inevitably generates as many new questions as it answers. In a 1968 book, Van Arsdel commented, “in the following chapters5 the reader will find puzzles and unanswered questions; every such question should be looked upon as an opportunity, a door which only needs to be unlocked.” Thus the T-TT work led to another level of research still conducted today by a variety of groups in many different locations. The collapse of the frozen food industry that precipitated the T-TT program at WRRC occurred when the United States was on the verge of a post-war boom, and the American industrial complex could turn from war-related activities to peacetime consumer goods. The work at WRRC had a large impact on the frozen food industry in terms of setting the standards for food preparation and storage and restoring consumer confidence. But it would not have been as successful except for the concurrent development in related industries. The refrigeration industry grew enormously, and separate “zero-degree” freezing units became increasingly available for household use. New refrigerant gases (the freons) were found to have ideal properties for both freezers and refrigerators. Prior to the war, railroad cars using an ice-salt mixture could maintain a temperature only down to 15 °F, but in the post war period new “reefer” cars using mechanical refrigeration could guarantee the zero-degree requirement for frozen food storage. Finally, new moisture-resistant and flexible plastic and metal foils were generated by the packaging industry in response to the need of the increased production of frozen foods. It was the dovetailing of research and development in all of these areas that led to the continued growth of the frozen food industry and the acceptance by the public of this commodity as a contributor to a better quality of life. In 1950, when the T-TT studies were just underway, the frozen food industry had $500 million in sales. That number grew to $6.245 billion in 1966 and reached $68 billion in 1999. As the twentieth century ended, there were 40 million freezers and 120 million refrigerators in American homes. Over 2 million people were employed by 550 major frozen food producers, and there was a warehouse capacity of 3 billion cubic feet, with more than eight billion pounds of frozen foods in storage. One-quarter of all U.S. food exports are frozen foods, with a value of some $5 billion. The WRRC played a major part in the mobilization of scientific resources dedicated to the reproducible and safe production of high-quality frozen foods for human consumption. The knowledge developed at WRRC during studies of frozen food stability and quality has since been applied to other processing and preservation techniques, to the development of value-added food products, and to food safety improvements by WRRC scientists and their colleagues at other governmental, academic, and industrial research and development facilities. Feeney, R. E. Polar Journeys: The Role Food and Nutrition in Early Exploration; American Chemical Society and the University of Alaska: Washington DC and Fairbanks, Alaska, 1997. Tressler, D. K.; Van Arsdel, W. B.; Copley, M. J., Eds. ; The Freezing Preservation of Foods; The Avi Publishing Company, Inc.: Westport, Connecticut, 1968. Van Arsdel, W. B. The Time-Temperature Tolerance of Frozen Foods. I. Introduction — The Problem and the Attack. Food Tech. 1957, 11, 28-33. Van Arsdel, W. B; Copley, M.J.; Olson, R.L., Eds. Quality and Stability of Frozen Foods; Wiley-Interscience: New York, 1969. After World War II, the staff of the Western Regional Research Center conducted complex and comprehensive investigations of frozen foods, focusing on how time and temperature affected their stability and quality. The discovery of the chemical changes occurring as frozen food went from the farm to the dinner table provided much of the scientific basis needed for the future success of the fledgling frozen food industry. The freezing protocols, analytical techniques, and food handling and storage recommendations from the Western Regional Research Center studies led to the superior flavor, texture, and appearance of today’s frozen food. Adapted for the internet from “Quality and Stability of Frozen Foods,” produced by the National Historic Chemical Landmarks program of the American Chemical Society in 2002. American Chemical Society National Historic Chemical Landmarks. Frozen Foods Research: Time-Temperature Tolerance Studies. http://www.acs.org/content/acs/en/education/whatischemistry/landmarks/frozenfoods.html (accessed Month Day, Year).